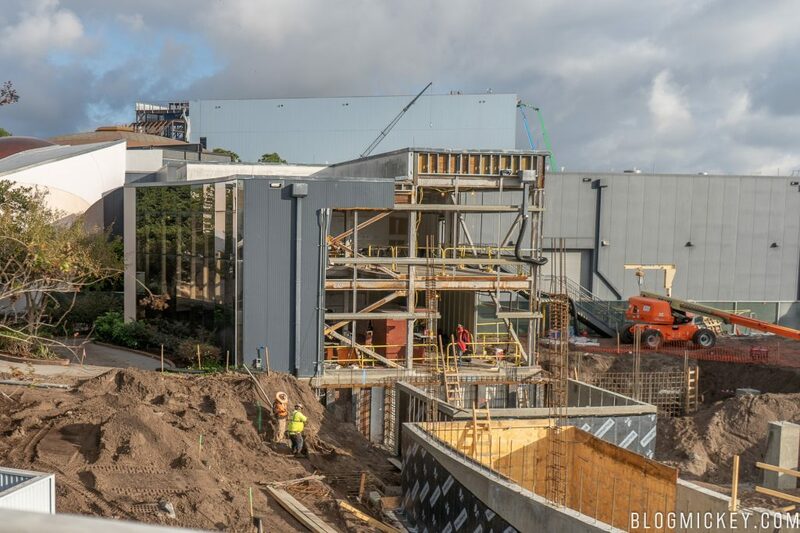 We made it out to Epcot recently to take a look at some construction projects. One project that has seen some significant progress recently is the unnamed Epcot Space Restaurant. We decided to ride Test Track to get the best possible views of the space restaurant. 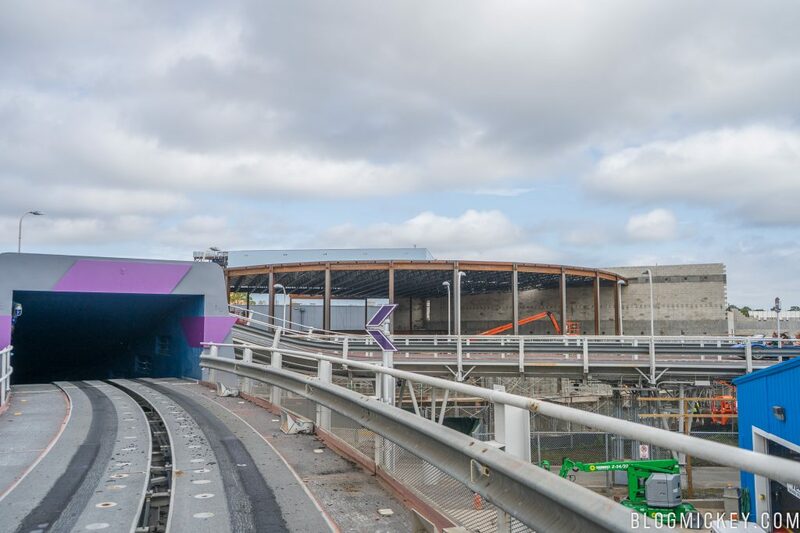 Since we last checked in on the project from Test Track, external walls have been erected for the main dining space. 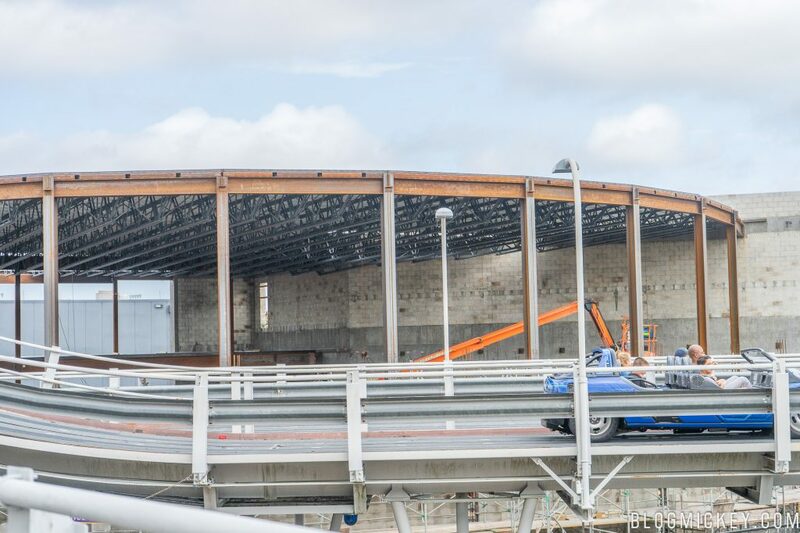 I think this photo does a good job of showing how close to Test Track this restaurant will actually be. 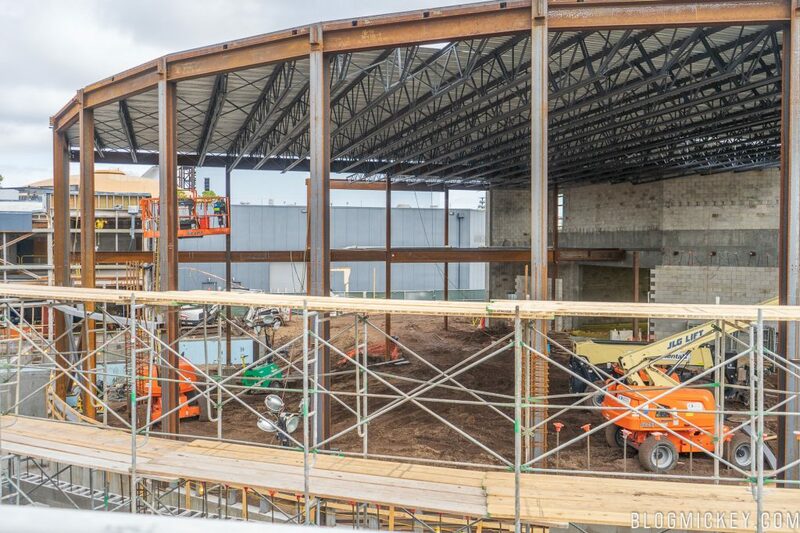 Here we fill the frame with the circular room that will house the giant projection wall that will take guests into space. A new layer of bricks are being laid outside of the existing steel structure. We decided to hop onto Test Track because those bricks are likely going to end up hiding the interior of the structure soon. The concept art features the curved projection wall. Back to the construction, a hole in the bricks allows us to see inside the structure. 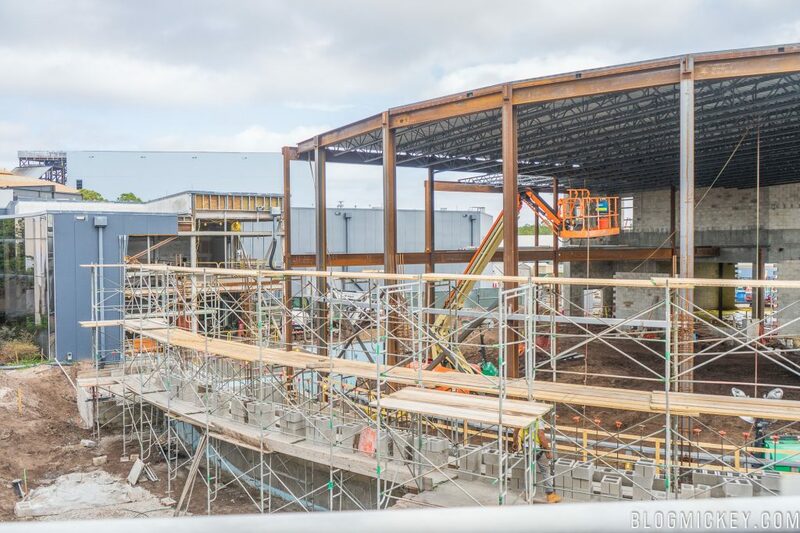 Disney hasn’t laid the foundation for the floor just yet, but it will likely start shortly after the brickwork is completed. As we continue down the track, we can see the existing structure has been kept largely intact. It’s the building on the left that has a blue exterior wall and glass. In some older photos, we can see the structure a lot better. This was an abandoned sponsor lounge area that was never used. 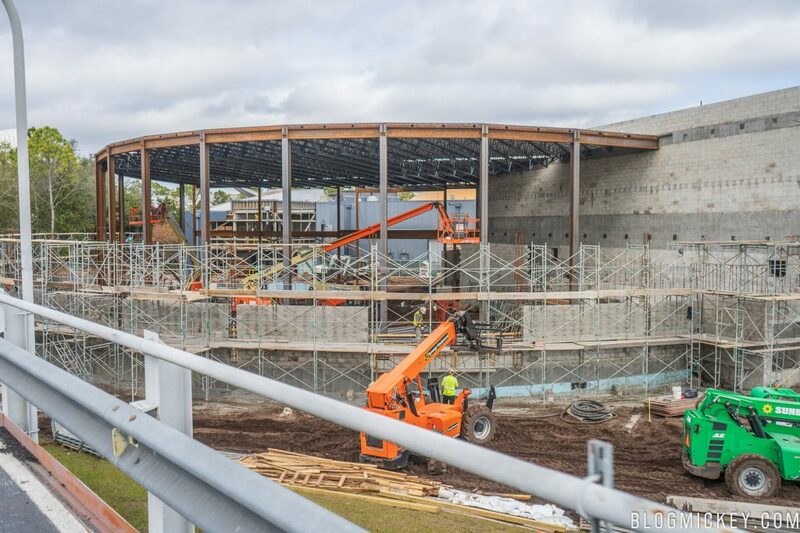 As Test Track loops you around the show building, we get another good look at the Epcot Space Restaurant and how it will impact the views from the ride. 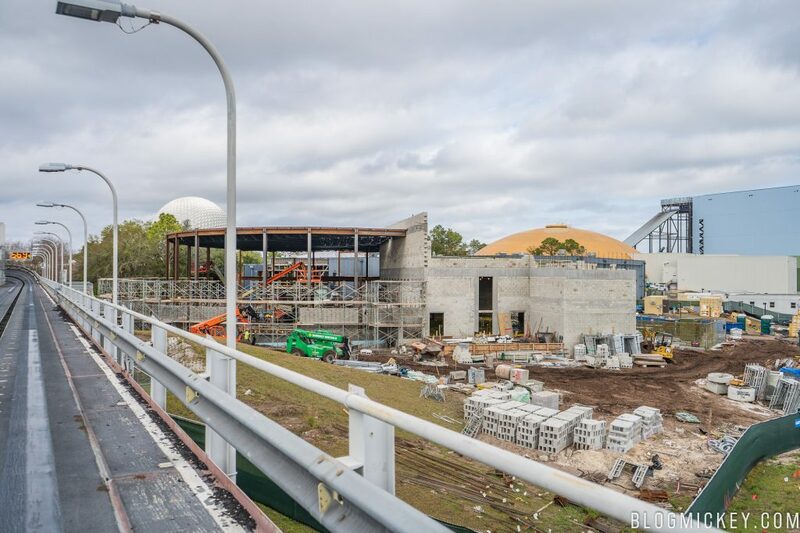 That’s the blue Guardians of the Galaxy show building peeking over the top of the Space Restaurant. 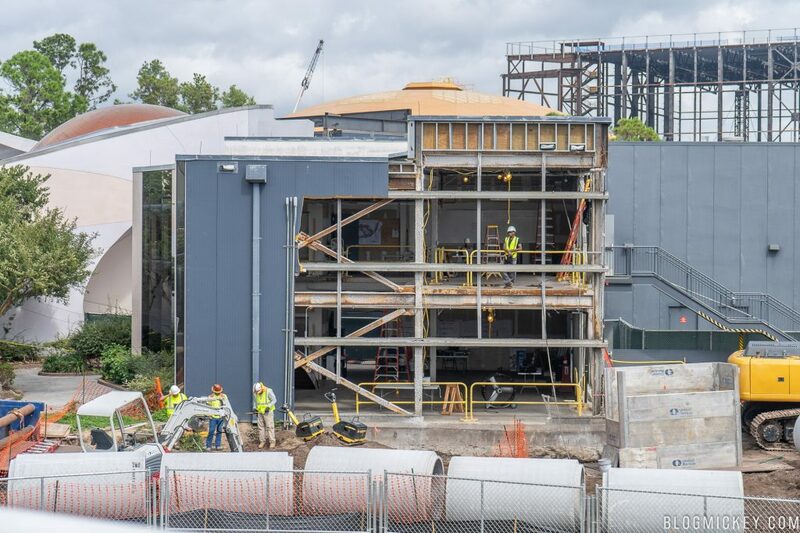 The Epcot Space Restaurant doesn’t have an official opening date, but with construction picking up the pace in the past few weeks, we have our fingers crossed for a 2019 opening date!